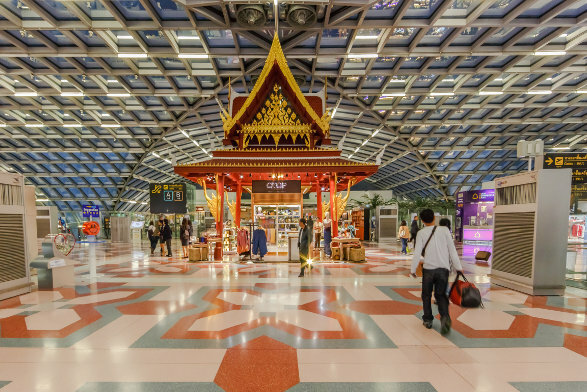 Suvarnabhumi Airport is one of the biggest international airports in Southeast Asia – covering an area of 3,240 hectares. On social networks, Suvarnarbhumi Airport was the world’s most popular site for taking Instagram photos in 2012. The design of the airport allows for it to apply energy life-cycle cost savings, with an installed cooling system and effective performance materials. The airport inherited the airport code, BKK, from Don Mueang after the old airport ceased international commercial flights. Travellers can order foreign exchange online, 60 days before departing Egypt.